Akito is an E.U. Knightmare Pilot with a rank of lieutenant from a special force, called W-0, that consists of boys and girls from Area 11. He is shown to be piloting the Knightmare Frames, Gardmare and Alexander. It appears that he may be mentally unstable, as he is shown to enjoy battle to the point of blood lust, yet he appears completely calm under normal situations. He has a lack of emotion, not tending to display or express his emotions in anyway. He also mentions that he "has died before." At this time it is equally possible that this is due to mental instability. Akito can also see the spirits of his fallen comrades and claims that he has already died once. 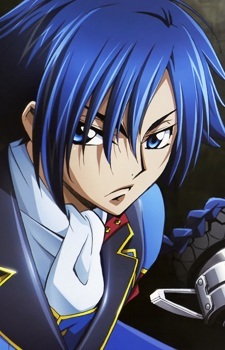 Akito is under the effects of Geass that he appears to control at will, allowing him to savagely kill his enemies in the battlefield. When he used Alexander to ambush and destroy a full squad of Britannian Knightmare Frames, the enemy pilots referred to him as "Hannibal's Ghost".